4	stars -	"Review for NSP Hybrid Shortboard E Plus Acid" Mark Taylor This NSP Hybrid Shortboard E Plus Acid is the best Fish Funboards I have tried. With the tail of a short board and the nose of a fish, the Hyrbid design is as close to a single board quiver as you fill find. A relaxed, flattened rocker and width in the nose helps you catch waves easily and maintain speed in even the weakest of waves. The pulled in round tail provides bite and hold through on-rail turns and in hollow conditions. Featuring a subtle single/double concave through the bottom, slight vee in the tail and a medium-boxy rail, it's a reliable performance orientaed design. The Hybrid will suit the intermediate to advanced surfer and is one of the strongest and most versatile boards on the market. 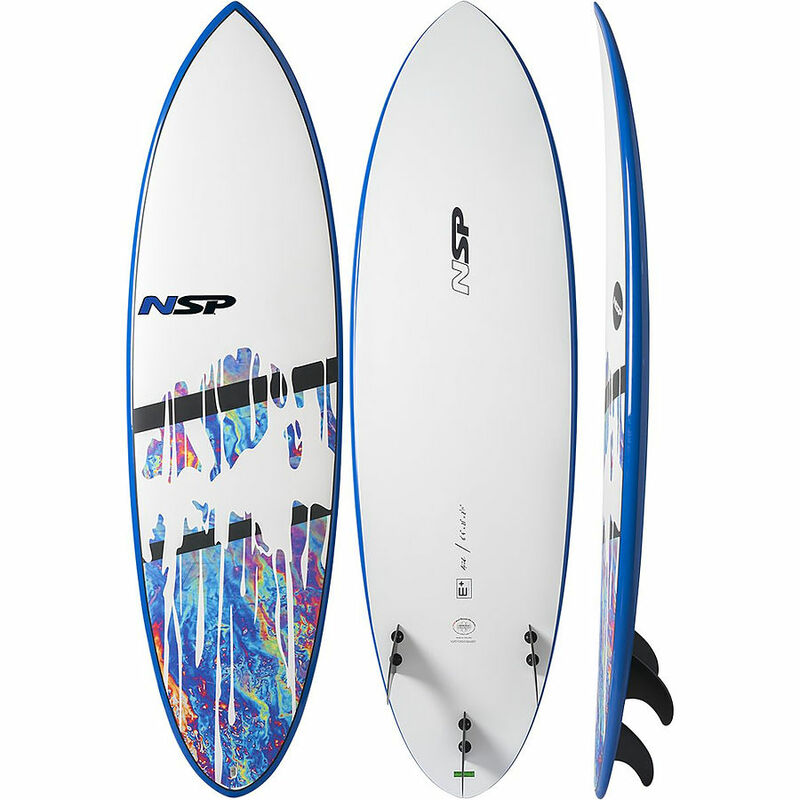 "NSP funboard, its awesome, smoooooth ride, perfect for medium surf, and its affordable." E+ is the next generation of NSP’s famous E2 Classic Technology. A combination of ballistic skin, deck and bottom with NSP’s HDT molding technology results in a highly durable and impact resistant, precision molded board.By utilizing a handpicked selection of NSP boards the E+ range is the ultimate combination of durability and price making it a first choice for rental operations and discerning customers wanting a long lasting product. Digitally printed graphics printed on ballistic sheet give the board a creative and unique look.